Learn Arabic Language Online which is ranked 5th among many languages and is one of the oldest languages in the world. It is spoken in 24 countries as a mother tongue by 250 million people, North Africa, the Arabian Peninsula, Iraq, Syria, Kuwait and Saudi Arabia. A major reason for learning to speak Arabic is that it is the first language of Muslims all over the world. It is considered the foundation of several other languages. The Arabic language unites all Muslims throughout the world despite their cultural, traditional and linguistic differences. This unity stems from their common belief in Allah and his guidebook, the Quran, which was sent in Arabic. Since the time of his revelation, the Quran is still in its original form. It has been translated into different languages but there is always a need to understand the glorious words of Allah and for that, we provide you with classes that help you learn and speak Arabic. The true meaning of the Quran cannot be perceived, it cannot be recited properly, it can not be understood when heard and definitely not acted upon unless learning and understanding Arabic. We use Arabic in our daily prayers, but our prayers make sense only if we try to understand what it means. The essence of the prayers is lost and it becomes only a simple obligation to fulfill. We hope to help you in this regard to make your connection with Allah more resolute. 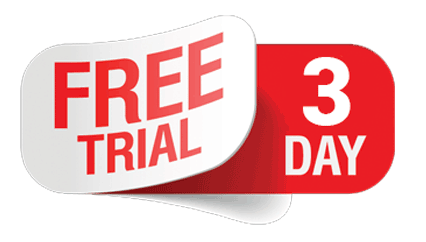 Join Arabic reading course now with 3 free days trial! Whether you want to learn Arabic language online for your studies or business in the Arab world, you will need to learn it quickly and in a simple way so that you can achieve your goals fairly quickly and if you have taken a previous course or just learned By You have surely noticed that it is not so easy to learn Arabic in a short time because the Arabic language is one of the most difficult languages to learn in the world. But be assured that if you do not have the time to attend one of those who learns Arabic online courses, there are always many ways, shortcuts, and tricks to master the majority in Little time so you can easily understand this beautiful language And stress-free. Pieces of information about the Arabic language: The Arabic text is written from right to left. It has 28 consonant phonemes (including two semi-vowels). Arabic is established on a system of root words and each word is formed from three-letter roots. In English, the pronunciation of Arabic is somewhat different from how it is spoken in English and some sounds do not exist in English as the glottal stop, usually transliterated by (‘) as in the word ‘elm science). The “q” sound of “Qatar” does not exist in English. The Academy will offer you the best way to help you how to learn Arabic language quickly and easily because the Muslims frequently use Arabic words and phrases at different levels, They say Insha’Allah (God willing) when they talk about the future, Masha’Allah (everything is from God) when they worship something and Bismillah (in the name of God) when they start doing something. They greet each other with Assalaamu Alaykum, which means “Peace be with you”. This daily use of Arabic becomes more meaningful when you know exactly what it means. We hope to make you run in Arabic with the understanding of it. We will introduce you to the Arabic language by teaching you its basics to learn Arabic language online that will help you differentiate between modern standard Arabic and spoken dialects. You will also learn the pronunciation and write alphabets and Arabic words using large letters, word examples, and audio pronunciations. Students will also learn to use verbs and names, and ways to read and write simple Arabic sentences, following some simple rules. There will be a lot of emphasis on improving your vocabulary and boosting your confidence by speaking Arabic. It is Sheikh Abdullah Ahmed. A gold medalist in the 5th Egyptian Quran tournament and a qualified Middle Eastern group teacher for the broadcast of the Qur’an. Al hamdulillah, I spread the message of Islam by teaching the Quran for more than 6 years. I can teach recitation of Quran, Hifz and Tajweed. I learned many sheikhs inside and outside my country. I hold ijazza to teach the Qur’an, Tajweed and Qiraa’t of Al Azhar. I taught the Qur’an for about 6 years. I also have experience teaching Fiqh, Shafiee, Hadith & Tafseer. I have been working with online students for almost 3 years. I hope that I will be able to serve Islam by teaching the Quran. My name is Ibrahim Ahmed and I have been an online Quran teacher for 5 years and I have qualified in Hifz, Tajweed, Qiraat-e-Ashrah and Arabic grammar. I am motivated, ambitious and eager to teach. I can teach students who are Qaida and Quran beginners very well. I have taught children as well as adults from the United States, UK, Australia and Asia. Asalam alykum waramatullah wabarakatul, I am Mostafa Ahmed, I live in Akure, State of Ondo, Nigeria. I have been teaching the Quran for almost a year now. I finished my Koranic memorization in 2017 and since then, I have been teaching Quranic memorization, recitation and tajweed. I memorize the Qur’an with riwayatul Warsh Ana’fi and Qoloon. I taught the Qur’an in various places like the college of education and a secondary school in Nigeria. I currently hold a Certificate in Education in Nigeria (NCE) in Mathematical Computing. I am also pursuing a degree in Computer Science at the University of the People (Online) in California, USA. Teaching is my passion and passion is driven by zeal to ensure that I am able to recite the Qur’an with the appropriate Tajweed. I was born and raised in the UK, but most of my studies in South Africa are under the guidance of Scholars of Deen and Great Quraa (reciters). Over a period of 12 years, I gained knowledge in the field of Quraan and Hadith. I taught for 2 years with different subjects. mainly Tajweed and recitation for adults. Alhamdulillah I am able to teach all the sciences of the Qur’an, from basic to extended which includes grammar, pronunciation, correct breaks, the 10 dialects of the Qur’an. Some may need to polish their recitation or even if it may be right back from the basics, there is no harm. feel comfortable asking for anything you would like to learn. We will not be embarrassed to learn to drive, so we must feel embarrassed to learn the word of Allah. Assalamo alikum. My name is Amira Mohammed , I am an Arabic Koran teacher and I am fluent in English, I have learned Quran, tafseer, tajweed in an Azhar institute, I have more than 7 years of experience teaching Quran , and I love to teach. I will work with you / your child until you have finished learning the Qur’an by heart. I will teach you to understand the verses of the Quran and link each verse to the previous and the next so that you can always remember that they are connected to each other. I will explain the rules in each surah and the stories told in it. So you will not only repeat that you will understand the meaning and the messages behind. Asalam alikum my name is Manal Ahmed from Egypt. I am a teacher of Arabic for non-natives for (women and children). I have sufficient experience of 7 years ago that I taught in many institutes in Alexandria as (Sisters Institute – Alandlos Institute – Ummati Institute of Charity Online Institute) as workshops , classrooms, private and individual classes. I teach many books like (baina yadik), (Almadina book), (Alketab alasasi) and separate grammar books like (Alagromya), (Qatrannda), (shaza alarf), (Alfyato Ibn malek) in addition to teach children’s books in (hadith) and (fiqh). I graduated from the faculty of education in Arabic language, in addition to master’s degree in the same field. I have the ability to teach the four main skills of Arabic (listening, speaking, writing and reading) in a simple and easy way. My name is Sameer Ali . I am a Chartered Accountant (ACCA Affiliate) through Vocational Education, but I do not know how to do it. So, I have been teaching Arabic for almost 7 years. My love for the Arabic language of my fascination with the Quraan and its status as the final message, guide and miracle of Allah Ta’ala to humanity. It is the quest for understanding Allah’s Message, which he feels for me, and appreciates his miraculous nature in his language and has kept me motivated for many years (and continues to do so today). My goal is to share knowledge of Arabic with the Muslim community to help them understand the Quran and benefit from their advice. I received my training in Arabic under “Arab for Ummah”, an institute working for the dissemination of the Arabic language and a language in the Muslim community. Tajweed, Tarjuma, Tafseer, Seerah, Hadith and basic introduction to the Koran Academy, renowned for its one-year courses in Arabic grammar and Koranic sciences. I have followed intensive Arabic language immersion programs led by Sheikh Musa Abdul Ghaffar, Al-Iraqi in Karachi, Pakistan, for advanced training in Arabic conversation. I also attended training sessions in NLP (Neuro-Linguistic Programming) with Mr. Ibrahim Ali, an authorized NLP (TM) trainer. My teaching experience spans over 7 years right now with over a hundred students and many successful stories. I conducted various courses in Arabic, taking participants step by step through the process of learning to understand and communicate effectively in Arabic in a short period of time. Anyone and anyone who wants to communicate in this language. Whether it is to understand the final revelation of Allah (the Quran) or the Hadith (the words of the Prophet) or for successful work opportunities in the Middle East and other Arab regions – I answer all these requirements. Asalumalikum …… I am MUFTI Hany Ahmed Alhamdulillah, I am able to teach the Qur’an using the Internet worldwide (most countries). I have developed a healthier methodology in teaching that motivates young children and makes it interesting for them to learn the Koran at home. I am Hafiz-e-Quran. Have a thorough knowledge of Tajweed and Tarteel. Have excellent command of Arabic, English and Urdu to speak with students and give lectures. Highly motivated and understand the complexities encountered in this profession. I am your sister Soad Hady . I come from Egypt and I study at Al Azhar Unversity. I learned the Holy Quran fully at the age of 14, then I studied Tajweed at the age of 15, I had Ijazah at 18, I taught the Koran for Arabic speakers for 2 years. years old and I taught Quran and tajweed for non arabic spreakers for 1 year. I can teach you to read the Qur’an alone with tajweed. it would be a pleasure to help you as a guardian of the Qur’an. I finished my Hifz-ul-Quran in 2005 from IQRA and graduated from wifaqul madaris Paksitan. I am a punctual and confident teacher who motivates his students to learn and develop their interest in memorizing the Qur’an. I can help you memorize Recitation, Tajweed and Quran (HIZF) by providing you with the easiest tips and methods so you can easily understand the basics of the Quran and start reading the Qur’an (INSHA ALLAH). Assalam alaikum, my name is Emad Ahmad , I am from India but was brought up in Saudia Arabia where I memorized the Quran, came 2nd in Riyadh , Qirat Competition and also was the Imam of a Masjid for 5 years. During my course of Hifz (memorization) I also learned the rules of tajweed. Ever since I learned the Quran, I have been teaching and have taught approximately 100 sessions of Quran and Basics of Islamic I can help you reach your goals using unique strategies. I am a non Arab So I understand the difficulties a non Arab has in reciting Quran the right way. I strive to give my best to my students and I expect the same from them. I am a Dentist by profession pursuing my Masters in the specialty of Orthodontics, in my final year now. Alhmdulillah. I worked as Imam and Islamic teacher. Due to my passion and love for teaching Arabic, Islamic Studies and Quran. I enjoy teaching others and sharing the success of my students . Teaching Quran is my Passion and It shall always be In shaa Allaah!. Check out my audio and video to learn to recite like me.